Jose Adan Servin Canelo came to the U.S. with his father at the age of 9, and is in deportation proceedings in danger of being separated from his family. In 2001, Jose Adan was targeted by a gang, and was brutally attacked and required hospitalization. Jose Adan cooperated with the police and testified against his attackers, helping identify his shooter. This collaboration qualifies him for a special visa, called a U Visa, which is given to witnesses who collaborate with police investigations. But It is not mandatory for local police to sign U-visas, even if the person qualifies. The Addison police have refused to sign because — although they have no proof — they allege he may have been in a gang when he was a teenager. 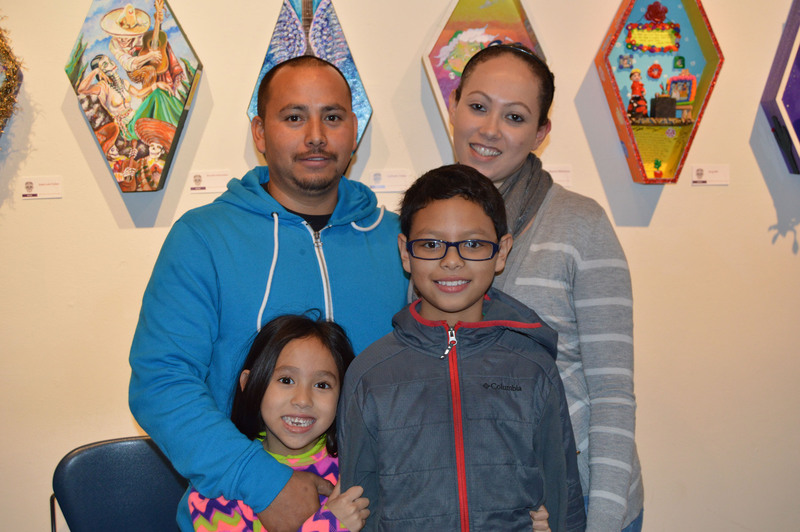 Jose Adan is the primary breadwinner for his U.S. citizen partner and their two U.S. citizen children. He is a loving and caring father. The plight of Jose Adan’s family was highlighted on national media. Please help us get the addison Police to sign, and help keep this family together. The Addison police Director Bill Hayden has refused to meet with Adan and his family, he has refused to provide any proof for their allegations about Adan’s past, and have refused to sign the U-visa certification. Please help us tell Director Hayden that he has a responsibility to victims of crime who collaborate with the police, including immigrants like Jose Adan. I write as a member of the community regarding Mr. Jose Adan Servin Canelo, a resident of Addison, Illinois requesting a U-visa certification from the police department under your jurisdiction. It is my understanding that your department has refused to sign the certification or meet with Mr. Servin Canelo’s family regarding his case. I write to urge you to re consider your decision and use your discretion to certify that Mr. Servin Canelo is a victim of a crime and that he collaborated with the authorities. In 2001, Jose Adan was the victim of crime in Addison – he was brutally attacked and required hospitalization. Jose Adan cooperated with the police and testified against his attackers. Jose Adan qualifies for a U visa – a visa for victims of crime that have assisted the police. In order to start this process, he needs the Addison Police to sign the certification. The U visa certification does not attest to Jose Adan’s character or grant him a green card – that is a decision that the Department of Homeland Security will make. The certification merely attests that Jose Adan assisted the police in the investigation — an indisputable fact. 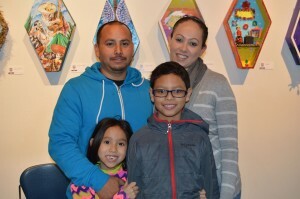 Jose Adan is the primary breadwinner for his U.S. citizen partner and their two U.S. citizen children. He was brought to the United States as a child (at the age of 9), and is a loving and caring father. The plight of Jose Adan’s family was highlighted on national media on Sunday, June 15, and I and others are taking notice of this case. The Addison Police should be in the business of protecting families, not tearing them apart, I urge you to do the right thing and sign the certification before Jose Adan is separated from his family. We, the undersigned, write this letter to request that you meet with Jose Adan Servin and his attorney and that you complete a certification on behalf of Jose Adan stating that he was a victim of a crime and that he cooperated with your department in the investigation this crime. Earlier this year, Jose Adan‘s attorney requested a meeting and also requested that the Addison Police Department complete a certification on behalf of Jose Adan stating that he was a victim of a crime and that he cooperated with your department in the investigation. Jose Adan was a victim of a brutal attack in 2001 that led to his hospitalization. As a victim of this crime, Jose Adan cooperated with the Addison Police Department and this led to the arrest and conviction of the attackers. When the requests for a meeting and for the completion of the certification form were initially made, Jose Adan was detained by Immigration and Customs Enforcement (ICE). Since then, ICE has released Jose Adan because he is not considered a risk to the community. Jose Adan and his family reside in Addison and are long-time members of the Addison community. Jose Adan is the primary breadwinner for his U.S. citizen partner and their two U.S. citizen children. Obtaining a U visa would allow him to stay in the country and continue being a loving and supportive father to his family. We request that you please sign the form certifying that Jose Adan was a victim of the 2001 felonious assault and that he cooperated with your department. As mentioned, Jose Adan was indeed a victim and his testimony and cooperation resulted in the conviction of his attackers. Jose Adan is eligible to apply for a U visa based on these factors and the certification form is an element required for the U visa application. The certification from the police department does not guarantee or recommend that Jose Adan will be granted a U visa. It simply states that Jose Adan reported a crime and that he was a victim of that crime who cooperated with the police.